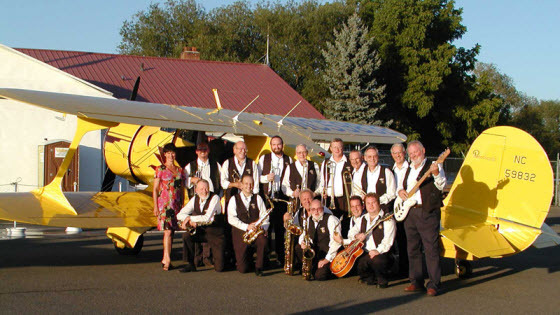 The TEMPOS, an eighteen piece swing band has been performing around the Greater Seattle area for over fifty five years playing music from the 30's, 40's and early 50's. Events include summer concerts, car shows, fund raisers, yacht clubs, wedding receptions and all sorts of parties. McAllister Museum of Aviation Hanger Dance to raise money for the museum in Yakima, Washington. © 2018 The Tempos - All rights reserved.